TE is the top-level sheeter model made by PASQUATO. It is a reliable machine designed to cut from roll to sheets many types of materials, such as paper, banner material, PVC, Polyester foil, bubble wrap and PE-foam. The cross-cutting blades have scissor action, which allows it to achieve a prefect cut, both in terms of accuracy and quality. The slitting technique adopted by the TE is the shear cut through rotary knifes. 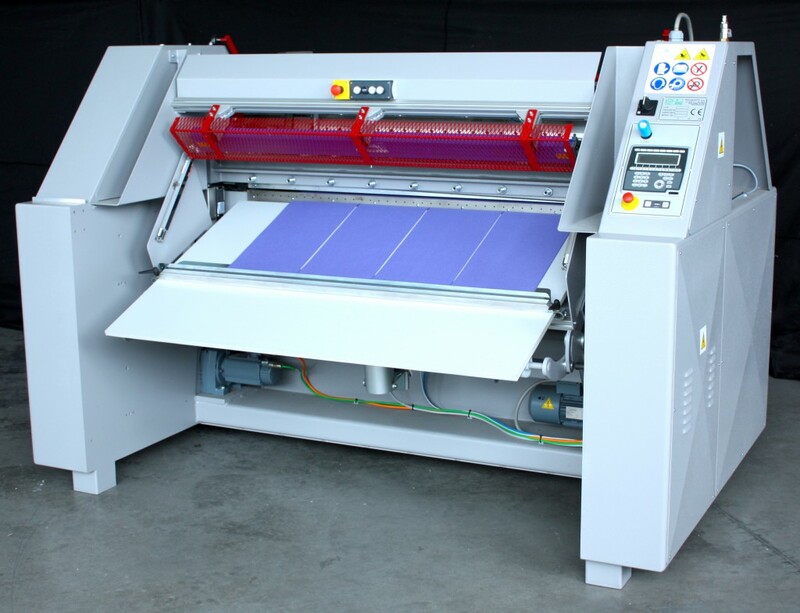 The TE sheeter is the best solution to cut-to-size every type of material in roll. The slitting and the cross-cutting sections are the core of all PASQUATO sheeters. The unwinding and the stacking sections can be customized according to specific requirements. PASQUATO assists its customers even after sale. Spare parts and service are always available upon request.